Read 2 times. Last read January 30, 2011. Edit (12/7/11): I've given this a second read (this time in audiobook format), and I liked it more the second time around. I knew I shouldn't stare, but I couldn't look away. Girls this strange didn't exist in Boyer. They lived in Columbia or Kansas City or places like that. High school senior Logan Witherspoon has known all of his classmates since kindergarten. In a town the size of Boyer, MO, everyone knows everyone. So, it's a surprise when a new girl, Sage, joins his biology class. With her outgoing nature and flashy clothes, she seems like the polar opposite of Logan's ex-girlfriend, the girl he dated for three years and thought he might one day marry. Sage is attractive and intriguing, but Logan knows she's hiding something about her past. He never thinks to suspect that her secret is that she was born in a male body. The first-person narration gives the reader Sage's story filtered through Logan's experience, making this more a story about Logan's meandering journey out of total transphobia than about Sage herself. Katcher creates a believably confused and sympathetic Logan, so it's unfortunate that Sage feels like an amalgamation rather than a fully-fledged character in her own right, as if events from different people's lives were thrown together and expected to become a coherent backstory. Katcher explores the meanings and boundaries of friendship, love, and loyalty, issues that any teenager struggles with. Logan's interactions with his sister, mother, and friends contrast against Sage's description of her relationships with her parents and sister, just as the relationship Logan had with his ex-girlfriend forms a stark contrast to his developing relationship with Sage. Logan's story will prompt teen readers (and maybe some adults, too) to think about how they would act in his situation. And that can only be a good thing. 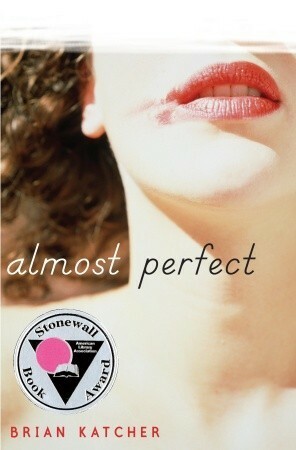 Sign into Goodreads to see if any of your friends have read Almost Perfect.